Twenty years ago on Feb. 25, a million Filipinos massing up at EDSA booted out a dictator. We in Bulatlat are commemorating the 20th anniversary of that historic uprising by paying tribute to 20 people who made EDSA I possible. They are 20 people who fought the Marcos dictatorship from the outset, 20 people whose heroic efforts led to EDSA I.
Feb. 22-25, 1986 were three days that shook the world. Those were three days when rosary-bearing nuns faced soldiers armed to the teeth and colegialas stuffed roses into the barrels of soldiers’ guns and masses of men came together to stop tanks at EDSA (Epifanio de los Santos Avenue). The troops blocked by civilians at EDSA on those three days were under orders to storm Camp Aguinaldo, the general headquarters of the Armed Forces of the Philippines (AFP), and fight it out with a small band of their comrades in arms who had chosen to defy the Marcos regime. The mutineers were led by then Gen. Fidel V. Ramos, then Col. Gregorio “Gringo” Honasan, and former Defense Minister Juan Ponce Enrile. Enrile and Ramos had, a few days before, announced their defection to the opposition following the outbreak of public outrage against the results of a fraud-ridden snap presidential election on Feb. 7, in which Marcos was officially proclaimed as the winner over Corazon “Cory” Aquino. “Enough is enough, Mr. President,” Enrile’s voice rang over the airwaves. The people who had massed up at EDSA were mostly there in response to a call from then Manila Archbishop Jaime Cardinal Sin to save the mutinous soldiers, who were being pursued by loyalist troops under orders from Marcos. Marcos had been forced to call for a snap election amid a crisis that is rocking his rule. The mainstream opposition parties united behind Aquino, widow of oppositionist Sen. Benigno “Ninoy” Aquino Jr. who had been slain nearly three years before and previous to that was persecuted for a long time by the Marcos dictatorship. In 1983, Ninoy, then in exile in the U.S., had decided to come back to the Philippines to try to talk Marcos into restoring civil liberties. He knew his life was in grave danger, but on he went and a single bullet to the back of his head ended his life at the tarmac of the airport now named after him. His assassination provoked the unorganized masses, middle class and even businessmen to take to the streets in the millions. These were the bulk of the crowd that massed up at EDSA on Feb. 22-25, 1986. Those were three days that shook the world, as what happened on those dates are said to have inspired anti-tyranny mass actions in other countries. But those three days were not all. What is now known as the EDSA I uprising was just the culmination of more than a decade of people’s struggle against the reign of terror that began when martial law was declared on Sept. 21, 1972. Among the first to challenge the Marcos government’s reign of terror were organized workers through a series of strikes beginning in 1974. The most well-known among these was the 1975 strike by workers at the La Tondeña brewery, who were supported by a number of priests and nuns. The workers’ actions were followed by campaigns by church-based human rights workers and a reviving student movement. Another landmark in the pre-1983 anti-dictatorship struggle was the indignation rally against the fraudulent results of the Batasang Pambansa elections in 1978, in which more than 500 anti-Marcos oppositionists from various political colors braved police brutality. These were just some of the anti-dictatorship efforts that led to the EDSA I uprising. Twenty years ago on Feb. 25, a million Filipinos massing up at EDSA booted out a dictator. We in Bulatlat are commemorating the 20th anniversary of that historic uprising by paying tribute to 20 people who made EDSA I possible. They are 20 people who fought the Marcos dictatorship from the outset, 20 people whose heroic efforts led to EDSA I.
Sr. Christine Tan – This Religious of the Good Shepherd (RGS) nun was born into a wealthy family, but that did not deter her from advocating for the poor. During the martial law period (1972-1986), she fought not only for the restoration of democratic rights but also against the demolition of urban poor communities which were done as part of then First Lady Imelda Marcos’ campaign to “beautify” Metro Manila. She enjoyed a good working relationship with what is called the legal Left during and after the Marcos period. In the late 1990s, Sr. Christine would show that time does not necessarily cause people to mellow down, as she would be among the stalwarts of the Estrada Resign Movement (ERM). She continued to support various other causes after the fall of the Estrada regime, and was part of the broad campaigns against the U.S.-led war on “terror.” She died of a lingering illness in 2003. Lorenzo M. Tañada – A fervent nationalist, graft-buster and civil libertarian, Ka Tanny as he was known to friends was a crusader early on in his life. Chairman of the Movement for the Advancement of Nationalism (MAN) in the late 1960s, he was 74 years old when martial law was declared. The legal luminary was among the first prominent personalities to take on the dictatorship, starting out by defending political prisoners in the courts. In 1978, he became the general campaign manager of the Lakas ng Bayan or LABAN (People’s Power), a loose coalition of anti-dictatorship forces that fielded a number of candidates for the Batasang Pambansa (National Legislature) on April 7 that year. The LABAN slate was badly defeated in what has been called a “sham election,” and Tañada led an indignation rally on April 9 and was detained together with more than 500 others. The image of Tañada peering from a military jeep as he was being hauled away, clenched fist up in the air while shouting “Laban, laban!” (Fight, fight!) has become immortalized. After the Aquino assassination he chaired the Justice for Aquino, Justice for All Movement (JAJA) and, in 1985, the Bagong Alyansang Makabayan or Bayan (New Patriotic Alliance). He remained an ally of the Bayan forces after the fall of the dictatorship, and devoted his final years to the campaign against U.S. military presence in the Philippines. Jose W. Diokno – Known as a nationalist, a graft-buster, and a brilliant lawyer, Ka Pepe as he was called by friends was the chairman of the Movement of Concerned Citizens for Civil Liberties (MCCCL), a broad coalition of anti-fascist forces, when martial law was declared. From 1971 to 1972 he led mammoth rallies protesting against the authoritarian direction that the Marcos regime was taking. Speaking at a forum a few days before martial law, he had threatened to “take to the hills with the students” should Marcos declare a dictatorship. He was one of the first to be arrested upon the declaration of martial law, and was detained for nearly two years. After his release, he formed the Free Legal Assistance Group (FLAG), which defended political prisoners in court. In 1986, the Aquino administration appointed him to head the peace panel of the Government of the Republic of the Philippines (GRP) in its peace negotiations with the National Democratic Front of the Philippines (NDFP), as well as the Presidential Committee on Human Rights (PCHR). He would later quit both posts in protest against the Mendiola Massacre and other human rights violations by the Aquino administration particularly in the countryside. He died in early 1987. Leandro “Lean” Alejandro – Tañada called him “the next great nationalist.” Known as a brilliant student, he began his foray into activism in the late 1970s as a feature writer for the Philippine Collegian, the official student paper of the University of the Philippines (UP) where he would later become chairman of the student council. He won the respect of even many of his political opponents for his eloquence and quick wit. Not only that: he was also shrewd in negotiating with anti-riot police. His skills and persistence in alliance-building contributed greatly to the strengthening of the various broad anti-dictatorship forces like the JAJA and the National Alliance for Justice, Freedom and Democracy (NAJFD). He eventually became Bayan secretary-general, and was holding this position when he was killed by still-unidentified men in September 1987 in front of his office along Aurora Boulevard, Quezon City. Rolando Olalia – Lawyer and labor leader. Born into a poor family, he had to take several odd jobs including that of a janitor to finance his studies. He started out in activism as an organizer for the Malayang Samahan ng mga Magsasaka or Masaka (Free Association of Peasants) as well as a student activist along Manila’s University Belt area. Upon the encouragement of his father, he took Law at the Manuel L. Quezon University (MLQU), where he graduated in 1971. That year he was among the 100 highest-scoring bar examinees. In the early 1980s, he became chairman of the National Federation of Labor Unions (NAFLU) and, in 1983, of the Kilusang Mayo Uno or KMU (May 1st Movement), which had been founded three years before with his father as founding chairman. He also became chairperson of Bayan and Partido ng Bayan or PnB (People’s Party) in 1986. In November that same year, his lifeless body and that of his driver Leonor Alay-ay were found bearing marks of heavy torture. Joaquin “Chino” Roces – He was publisher and general manager of The Manila Times when he was arrested the same day martial law was declared. Before that he had been one of the MCCCL’s stalwarts together with Diokno and fellow journalists Satur Ocampo and Antonio Zumel. As a newspaper publisher, he gave generous space to news and views critical of the Marcoses even as he was a friend of the First Lady. After his release from detention in December 1972, he immediately resumed his activities as an oppositionist. He affixed his signature to petitions opposing the ratification of the 1973 Constitution. In 1978 he was fielded as a LABAN candidate for the Batasang Pambansa elections. He was placed under house arrest in 1982 for allegedly being the financier of the We Forum, an alternative newspaper launched by Jose Burgos Jr. in 1977. In 1985 he helped in gathering a million signatures to convince Cory Aquino to run against Marcos for president. He later became one of the main figures of the Samahan ng mga Ex-Detainee Laban sa Detensyon at para sa Amnestiya or SELDA (Organization of Ex-Detainess Against Political Detention and for Amnesty). He died in 1988. Lino Brocka – An acclaimed film director and a prominent name in Philippine social-realist film. During the martial law period, a number of his films were censored for being critical of the status quo. He refused to sell out to the Marcos regime even as he was in dire financial straits in the mid-1970s. In the late 1970s, he co-founded the Free the Artist Movement and, in 1983, the Concerned Artists of the Philippines (CAP). He was known as a very fiery speaker in rallies. At one time he was arrested for participating in a nationwide strike. He continued to be a cause-oriented film director even at the height of Cory’s popularity: one of his films, Orapronobis which dealt with the ravages of militarization in the countryside under the Aquino regime, was banned in the Philippines. He died in a vehicular accident in 1991 and was given the National Artist Award for Film six years later. Fr. Joe Dizon – Before Bayan there was the NAJFD, which was also chaired by Tañada. Fr. Joe played a part in the establishment of both the NAJFD and Bayan. He was arrested and charged with subversion in 1984 on the ground that his house in Metro Manila was a “distribution center for subversive materials.” The place was the headquarters of the NAJFD. He continued to be active in Bayan as well as church and workers’ movements. He was the founder of Workers’ Assistance Center in Cavite, servicing workers at the Cavite Export Processing Zone. He was also one of the prime movers of Kairos Philippines, a Catholic movement. He was also one of the leaders of the Estrada Resign Movement (ERM) and played a leading role in the EDSA II uprising in January 2001. Now getting on in years but losing none of his activist fire, he is the spokesperson of Kairos Philippines and Patriots, a movement of Christians against electoral fraud organized for the 2004 elections. Nelia Sancho – Her pre-activist background is unusual to say the least. Before getting into activism she was known as a beauty queen, having won the title of Queen of the Pacific in 1971. After returning from her stint as Queen of the Pacific, she enrolled in Journalism at the University of the Philippines (UP), where she got involved in student activism. During the martial law period she went underground but was eventually arrested and detained for several years. In the 1980s she became a leader of the women’s group GABRIELA and Bayan. At present she is mainly known as an advocate of compensation for former comfort women. She works with a number of women’s non-government organizations aside from chairing the Committee to Defend the Rights of Jose Maria Sison. Joker Arroyo – Known in politics as a maverick senator who is quick with quotables, he is also said to have handled more human rights cases than any other lawyer during the martial law period. He secured his way to national fame in 1972 by challenging before the Supreme Court the legality of Presidential Decree No. 1081 which placed the Philippines under martial law. He would join other lawyers in contesting the ratification of the 1973 Constitution, the decree allowing Marcos to exercise legislative powers alongside the Batasang Pambansa, and the power of military tribunals to try civilians. He was a fixture in countless anti-dictatorship rallies and was consistently one of those who fought it out with the police during violent dispersals. 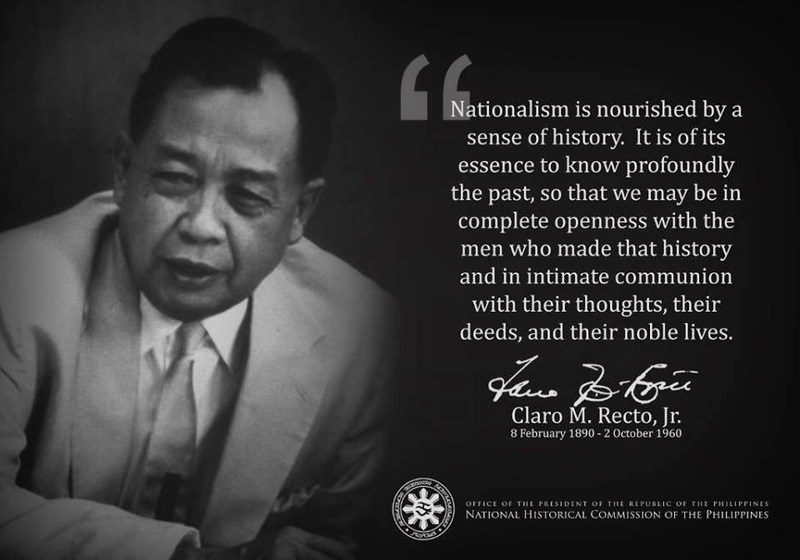 He co-founded FLAG and the Movement of Attorneys for Brotherhood, Integrity, and Nationalism, Inc. (MABINI), and defended scores of political detainees including Jose Maria Sison. He served as executive secretary under the Aquino government and after that was elected three times as representative of the first district of Makati. To date he is on his second term as a senator. Antonio Zumel – Known as a brilliant journalist and a prominent revolutionary leader, Antumel as he came to be called by fellow journalists was into unionism and nationalist politics early on in his life. In the early 1970s he juggled three major positions: president of the National Press Club (NPC), chairman of the Amado V. Hernandez Memorial Foundation (AVHMF) and one of the leaders of the MCCCL. As NPC president, he led in giving space to statements and views from activist organizations, and allowed them the use of the NPC office as a sanctuary from violent dispersals as well as a venue for their press conferences. At the hour that martial law was declared, he was downing a few bottles of beer with friends at the NPC office: after the end of the drinking bout he swam the Pasig River – then as now notorious for its stench – and disappeared into the revolutionary underground. He was editor of the underground news service Balita ng Malayang Pilipinas; Liberation, the official publication of the NDFP; and Ang Bayan, the official newspaper of the Communist Party of the Philippines (CPP). He was also one of the drafters of the NDFP’s 12-Point Program. He surfaced in 1986 as a member of the NDFP peace negotiating panel, but returned to the underground after the suspension of talks with the GRP following the Mendiola Massacre. In 1989 he was sent on a special task to Utrecht, The Netherlands, where the NDFP International Office is located. He served as NDFP chairman from 1990 to 1994 and was senior adviser to the NDFP peace panel from 1992 until his death in 2001. Satur Ocampo – He wanted to be a doctor but lack of funds – he was born to a landless peasant couple – deterred him from pursuing a medical degree. He opted for Journalism. Like his friend Antonio Zumel, Ka Satur as he has come to be known even to non-activists was into cause-oriented politics early on, and he became one of the NPC leaders as well. He was a founding member of the Kabataang Makabayan (KM) in 1964, and took part in the reestablishment of the CPP in 1968. In 1971 he was one of the leaders of the MCCCL. State forces were in hot pursuit of him even before martial law, and he went underground a few months before September 1972. He was one of the founding members of the NDFP and one of the drafters of its 12-Point Program; as well as one of the editors of the Balita ng Malayang Pilipinas, Liberation, and Ang Bayan. He was arrested in 1974 and was one of the longest-held as well as one of the heaviest-tortured political prisoners during martial law. In 1985, following a vigorous campaign by various human rights organizations for his release, he was allowed to vote at the NPC elections where he was given a rousing welcome by his former colleagues. He escaped that same day and rejoined the revolutionary underground. In 1986 he surfaced as spokesperson of the NDFP peace negotiating panel. He was arrested again shortly after the suspension of the GRP-NDFP peace talks. After his release in the 1990s he became active in the legal Left while at the same time writing columns for a number of mainstream and alternative newspapers. In 2001 the progressive party-list group Bayan Muna fielded him as its first nominee; the group topped the party-list elections. He is now on his second term as a Bayan Muna representative. Jose “Joe” Burgos Jr. – Starting out as a police reporter in the 1960s, Joe Burgos would eventually carve a niche for himself as a pioneer of the so-called alternative press during the martial law years. In 1977 he launched three newspapers: the English tabloid-sized We Forum, the national-language Malaya, and Midday. For sometime these were the only legal opposition newspapers outside the campuses. In 1982 the military raided the We Forum office, closed down the publication and arrested Burgos and his staff. Burgos, in particular, was accused of being an officer of all the illegal organizations in the Philippines and overseas. After his release, he began to publish an English edition of Malaya, and in 1983 the said newspaper was the only one to publish a complete account of the Ninoy Aquino assassination. In 1986 he won the International Journalism Award of the Inter Press Service for his press freedom advocacy during the Marcos period. In 1987, he ran as a senatorial candidate of the PnB. He died in 2003. Felixberto Olalia – He was the KMU’s founding chairman. On Aug. 13, 1982 – two years, three months and 12 days after the founding of the KMU – he was arrested and detained as part of a crackdown by the Marcos government on labor leaders and activists. He was accused of sedition and conspiracy to commit rebellion. Then already suffering from rheumatic heart disease, he was placed in solitary confinement which made his health deteriorate more quickly. He died in prison of pneumonia on Dec. 4, 1983. Renato Constantino – A brilliant historian and social critic, he was a nationalist and civil libertarian from his student days during the American period at UP. Taking on an incumbent president was thus not new to him when Marcos began showing subservience to U.S. imperialism and clamping down on democratic rights a few years before martial law. One of his best-known works is the book Renato Constantino and the Marcos Watch, a collection of satirical essays on the Marcoses edited by Luis Mauricio. Those whose memories stretch by at least 35 years remember him for a national television appearance in which, during a debate with Marcos, he refused to content himself with demolishing the would-be dictator’s arguments, and topped it all off by calling him a coward to his face. He was briefly placed on house arrest when martial law was declared. Though he was early on skeptical about the motives of some of the EDSA I leaders, he nevertheless acknowledged the uprising as a people’s victory. He remained a staunch nationalist and civil libertarian to his death in 1999. Jose Maria Sison – He has been many things: a university professor, a poet, an essayist, and a political analyst. He was the secretary-general of the Movement for the Advancement of Nationalism (MAN). But he is best known as the founding chairman of the reestablished CPP. From being chairman of the KM which he led in founding in 1964, he went underground in 1968, the year the CPP was reestablished. He continued writing even while underground, and is the author of the landmark book Philippine Society and Revolution. He was arrested in 1977, heavily tortured and held incommunicado for a long time. Upon his release in 1986 following the ouster of the Marcos dictatorship, he led in founding the PnB. He had plans of rejoining the underground but the Aquino government cancelled his passport while he was on a speaking tour in Europe. He applied for and was granted political asylum in The Netherlands, where he has had to live since then. He is the chief political consultant of the NDFP, and in 2005 was elected chairman of the International League of Peoples’ Struggle (ILPS). Teofisto Guingona Jr. – He was already critical of the Marcos government’s economic policy as a member of the Movement for the Advancement of Nationalism (MAN) in the late 1960s. He was a delegate to the 1971 Constitutional Convention and worked for most of the martial law period as a human rights lawyer. He was arrested in 1972 and 1978 for his involvement in opposition activities. He founded SANDATA (Arms) and became honorary chairman of BANDILA (Flag), two opposition groups. As a senator in 1991, he was one of the so-called “Magnificent 12” who voted to terminate the RP-U.S. Military Bases Agreement. He served as justice secretary under the Ramos administration (1992-1998) and was again elected senator in 1998. In 1999 he made news by being the first senator to call for then President Joseph Estrada’s resignation. President Gloria Macapagal-Arroyo appointed him vice president in the wake of the EDSA II uprising, and concurrently he held the position of foreign affairs secretary. However, he had to give up the latter in 2003 due to policy differences with Macapagal-Arroyo. He has recently called for Macapagal-Arroyo’s resignation and served as chairman of the Presidium of the Citizens’ Congress for Truth and Accountability (CCTA). Aquilino “Nene” Pimentel Jr. – A delegate to the 1971 Constitutional Convention, he opposed many of the Marcos-dictated provisions and was arrested upon the declaration of martial law the next year. For the next few years he worked as a human rights lawyer. In 1980, he was elected mayor of Cagayan de Oro City, was ousted from the position by Marcos but reinstated the next year after a massive campaign by his constituents. He was arrested again in 1982 and 1985. In 1986, he was appointed minister of local government by President Cory Aquino, and was elected senator the next year. In 1991, he was one of the so-called “Magnificent 12” senators who voted to terminate the RP-U.S. Military Bases Agreement. He ran for vice president in 1992. In 1995, he ran for a Senate seat but lost, and accused Enrile of shaving his votes. He won as a senator in the 1998 elections. From 2000 to 2001 he served as Senate president, and as such was the presiding officer at the impeachment court that tried then President Joseph Estrada. He won another Senate term in 2004, and is among the senators critical of the Macapagal-Arroyo government. Armando J. Malay – A veteran journalist and journalism teacher, he is also remembered as the UP Dean of Student Affairs from 1970 to 1978. He supported the student activists at UP and defended them when they put up barricades at the State University’s Diliman campus in 1971 to protest oil price and transport fare increases. He wrote a column for the We Forum and was among the newspaper’s staffers arrested in 1982. In the 1980s, he was a member of the NAJFD’s Council of Leaders, and also headed SELDA and Kapatid (Brother/Sister), an organization of political detainees’ relatives. He is also a founding member of the human rights group Karapatan (Alliance for the Advancement of People’s Rights). In 1999 he was one of the first activists to call for Estrada’s resignation. He died in 2003.